July 21, 2017. 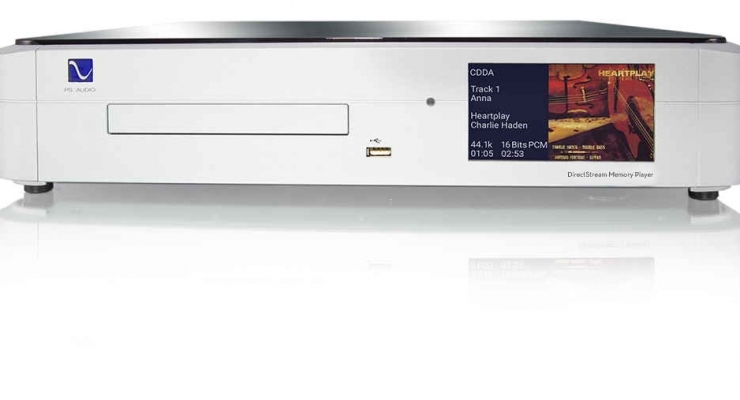 PS Audio has announced a major upgrade to its industry-leading DirectStream, and DirectStream Junior DACs with the Bridge II streaming interface. [Note: This firmware upgrade is also applicable to a Bridge II-equipped PerfectWave II DAC ] For those who subscribe to the Tidal premium streaming service, the Bridge II upgrade enables access to its growing catalog of MQA (Master Quality Authentication) files up to 192kHz/24-bit resolutions. Once the Bridge II upgrade is completed, PS Audio DAC owners can download the MConnect Control App for Apple or Android devices and listen to MQA-format and all other music files available on the Tidal servers (for more information, visit http://tidal.com/us). This good news comes hard on the heels of the June 9, 2017 release of Huron, a groundbreaking upgrade to the DirectStream and DirectStream Junior DACs. The Huron operating system takes advantage of the DAC’s Field-Programmable Gate Array (FPGA) and removes 3dB of noise in the audible band and 18dB of ultrasonic noise. According to PS Audio, Huron’s elimination of audible and ultrasonic noise provides a “blacker background” and “lack of hash” improving the placement of instruments and voices, as well as top-end extension and bass. What’s more, the Huron upgrade will increase the DACs’ upsampling capability from ten times DSD to twenty times DSD and is compatible with the above-mentioned Tidal streaming service and its MQA files. Huron is the fourth in a series of firmware upgrades following Pikes, Yale, and Torreys, and takes the DirectStream DACs to their highest level of audio performance to date. Both firmware upgrades are free and can be downloaded from the company’s website http://www.psaudio.com/support/downloads. For those not comfortable with this procedure (it is thoroughly described at http://www.psaudio.com/ps_how/upgrade-directstream-operating-system), a preloaded SD card is available for direct purchase from PS Audio.